Always easy on your back and your budget, General’s lightweight, compact Gen-Eye POD® and Mini-POD® pipe inspection cameras now feature optional Wi-Fi inside. 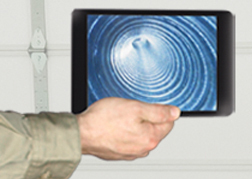 Wi-Fi lets you use your own tablet or smartphone to record the inspection and send it to your customers on the spot or back to the shop. The lightweight, compact Gen-Eye POD combines camera, reel and monitor in an all-in-one package. You get a large 7” LCD color monitor in a padded case mounted on a flexible gooseneck that swivels to give you the best viewing angle, wherever you’re working. There’s lots more, like an LED Dimmer Control, both AC and DC power cords, 2″ and 3” Trap Skids, and a 512 Hz transmitter. A video out connection lets you record on an external device. Integral camera system – camera, reel, monitor in an all-in-one package. 7” LCD color monitor mounted on a gooseneck for easier viewing. 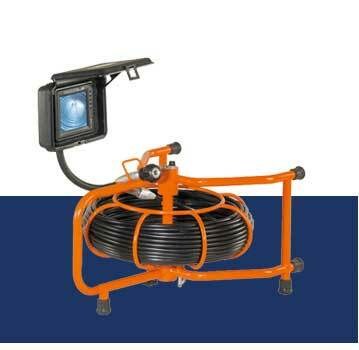 Self-leveling color mini-camera offers crisp, clear picture in small drain lines. Mini-reel carries 125 ft. or 175 ft. push-rod to inspect 2” to 4” lines. Rugged frame can be operated vertically or horizontally. Includes LED dimmer control, and AC/DC power cords. Self-leveling color camera automatically keeps the picture right side up. 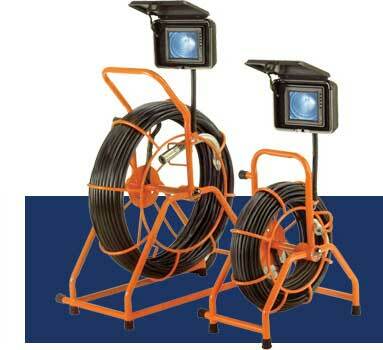 Full size reel carries 200 ft. Gel-Rod® to inspect 3” to 10” lines. Video connection to record on external device. Wi-Fi option sends video to smartphone or tablet to record and send to customers. 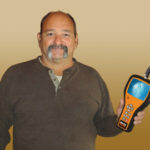 512 Hz Transmitter for easy camera location. The Gen-Eye POD’s tough steel frame can be operated vertically or horizontally, so you can handle nearly any application. The full size Gen-Eye POD features a color self-leveling camera and 200 ft. of Gel-Rod® for trouble-shooting 3” to 10” drain lines. 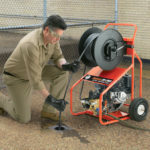 The compact MINI-POD carries 125 ft. or 175 ft. of push-rod and color self-leveling mini-camera for inspecting 2” to 4” drain lines. Wi-Fi lets you use your own tablet or smartphone to record the inspection and send it to your customers on the spot or back at the shop. Automatically keeps picture right side up as the camera glides through the line. Just 1.375” in diameter with 16 Bright-White LED’s to illuminate up to 10” lines. .
A tough, Gel-Rod push rod protects against moisture damage if the rod is cut or abraded. Its Kevlar® braid, fiberglass core, and durable sheath provide for maximum pushing and pulling power. The standard reel holds 200 ft. of push rod on a sturdy frame and takes up little space in your truck. Eight inch wheels ensure easy transport to and from the job. The mini reel carries 125 ft. or 175 ft. of push rod in a compact frame for easy handling without taking up too much room in your truck. Integral 512 Hz transmitter, dimmer control, 2, 3, & 6″ trap skids, and AC and DC power cords in accessory pouch. Gen-Eye POD with 200 ft. Gel-Rod, Self-Leveling Color Camera, Open Reel, and 2″, 3″ & 6″ Trap Skids. Gen-Eye POD with 200 ft. Gel-Rod, Self-Leveling Color Camera, Open Reel, and 2″, 3″ & 6″ Trap Skids, plus Hot Spot Locator with Padded Bag. Gen-Eye POD with 200 ft. Gel-Rod, Color Camera, Open Reel, and 2″, 3″ & 6″ Trap Skids. Gen-Eye POD with 200 ft. Gel-Rod, Color Camera, Open Reel, and 2″, 3″ & 6″ Trap Skids, plus Hot Spot Locator with Padded Bag. Gen-Eye POD with Wi-Fi, 200 ft. Gel-Rod, Self-Leveling Color Camera, Open Reel, and 2″, 3″ & 6″ Trap Skids. Gen-Eye POD with Wi-Fi, 200 ft. Gel-Rod, Self-Leveling Color Camera, Open Reel, and 2″, 3″ & 6″ Trap Skids, plus Hot Spot Locator with Padded Bag. Gen-Eye POD with Wi-Fi, 200 ft. Gel-Rod, Color Camera, Open Reel, and 2″, 3″ & 6″ Trap Skids. Gen-Eye POD with Wi-Fi, 200 ft. Gel-Rod, Color Camera, Open Reel, and 2″, 3″ & 6″ Trap Skids, plus Hot Spot Locator with Padded Bag. Gen-Eye MINI-POD with 125 ft. Mini Gel-Rod, Mini Self-Leveling Color Camera, Open Mini-Reel, and 3″ Trap Skid. Gen-Eye MINI-POD with 125 ft. Mini Gel-Rod, Mini Self-Leveling Color Camera, Open Mini-Reel, and 3″ Trap Skid plus Hot Spot Locator with Padded. Gen-Eye MINI-POD with 175 ft. Mini Gel-Rod, Mini Self-Leveling Color Camera, Open Mini-Reel, and 3″ Trap Skid. Gen-Eye MINI-POD with 175 ft. Mini Gel-Rod, Mini Self-Leveling Color Camera, Open Mini-Reel, and 3″ Trap Skid plus Hot Spot Locator with Padded. Gen-Eye MINI-POD with Wi-Fi, 125 ft. Mini Gel-Rod, Mini Self-Leveling Color Camera, Open Mini-Reel, and 3″ Trap Skid. Gen-Eye MINI-POD with Wi-Fi, 125 ft. Mini Gel-Rod, Mini Self-Leveling Color Camera, Open Mini-Reel, and 3″ Trap Skid plus Hot Spot Locator with Padded. 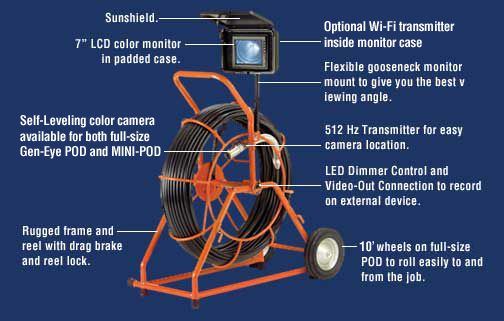 Gen-Eye MINI-POD with Wi-Fi, 175 ft. Mini Gel-Rod, Mini Self-Leveling Color Camera, Open Mini-Reel, and 3″ Trap Skid. Gen-Eye MINI-POD with Wi-Fi, 175 ft. Mini Gel-Rod, Mini Self-Leveling Color Camera, Open Mini-Reel, and 3″ Trap Skid plus Hot Spot Locator with Padded. 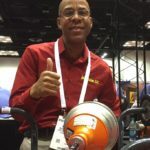 Large Reel – 200 ft.
Small Reel – 125 ft. or 175 ft.